Today I want to write about one of the iconic mammals of Africa, the impala. These beautiful antelope grow up to 160 cm long and 90 cm tall. The males are larger than the females. Only the males grow horns, which can reach 70 cm long. They are used to fight with each other to establish dominance during the breeding season. Impala live in large groups and look out for each other. They make a loud barking noise when they sense a predator and are very hard to catch once they start running away. 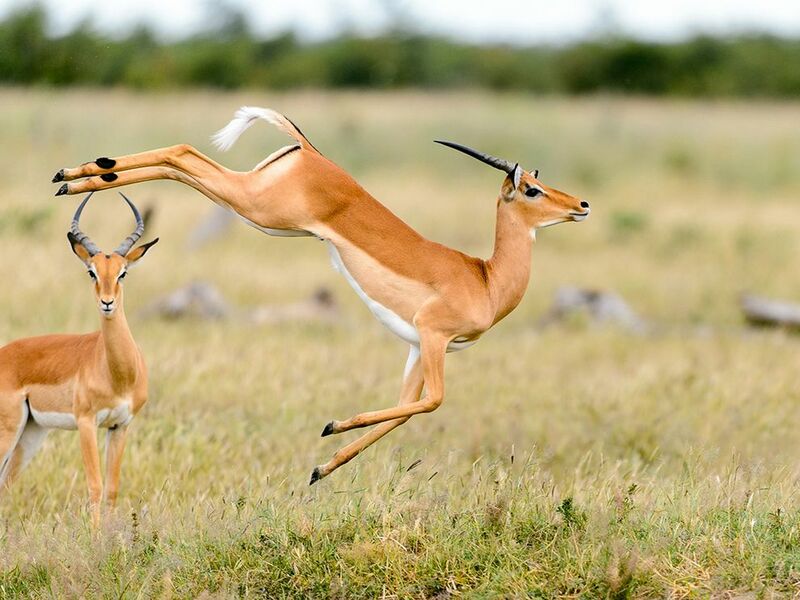 They are very fast runners and amazing jumpers, with the ability to leap 3 metres high and 10 metres long which helps them to escape from predators including lions, leopards and cheetahs. Impala live in grasslands near water and can be found throughout southern and eastern Africa where they are quite common. Are there any other interesting facts that you would like to share about impala? what is the population though?